Based on lectures on molecular orbital theory that the authors have presented at the University of Copenhagen and Columbia University. 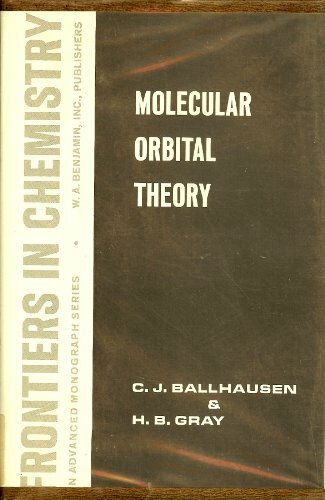 They were designed primarily for advanced-undergraduate and first-year graduate students as an introduction to molecular orbital theory. The transition metal complexes occupy a special place here, and the last chapter is devoted entirely to this subject. The reversible elimination of hydrogen from metal hydrides serves as the basis for unique methods of energy transformation. This technology has found widespread practical utilization in applications such as hydrogen compressors, storage, batteries. In many types of biochemical and pharmaceutical industries fluid bed granulation in the form of agglomeration and coating processes are essential operations in the production of solid products. This text presents the relevant models and theory. Main topics: How and Where to Start (Publications, Guides, Computer Searching, Current Awareness, Reviews); How and Where to Search: General; How and Where to Search: Specialized; Communicating in Chemistry; Miscellaneous; Supplemental Resources.